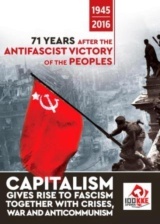 On the occasion of the International Workers' Day, the Communist Party of Greece (KKE) and the Communist Party of Turkey (TKP) issued a joint statement in which they "address warm militant greetings to the working class, to the people of both countries", calling them to strengthen the "common struggle against the bourgeois governments and the antipeople policy, the capital and its power, to massively condemn the imperialist wars and to develop the struggle for the overthrow of the capitalist barbarity, for socialism which is the people's future". As the statement writes, "the KKE and the TKP are struggling for the working, people's rights, based on the proletarian internationalism, the internationalist solidarity and with these principles they deal with the complex developments in our region". They "condemn the antipeople policy of the bourgeois governments of both countries, the repression, the persecutions against the Communist Party and the Communist Youth of Turkey, the anticommunism which is used in both countries as a 'tool' of promoting the antipeople policy". The two parties express their intense concern for the developments in the Aegean and Eastern Mediterranean, opposing "any case of hot incident and military embroilment". They express their opposition to the violations of borders in the Aegean and the challenge of international treaties which have determined the region's borders and support "the position for the non-change of borders and the treaties which define them". Both the KKE and the TKP are fighting for the disengagement of Greece and Turkey from the imperialist plans, for the return of the military staff from NATO and other missions abroad and they demand NATO's withdrawal from the Aegean. The joint statement highlights that the people of Turkey and Greece have nothing to divide and it's in their interest to assert to live peacefully and fight for their future, for the abolition of the exploitation of man by man. 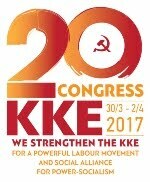 In another point of the KKE-TKP joint statement, both parties condemn the imperialist wars in Afghanistan, Iraq, Libya and the 7 year-old imperialist war waged by the USA, NATO and the EU's powerful states against the people of Syria in the framework of their competition with Russia and Iran. 1. 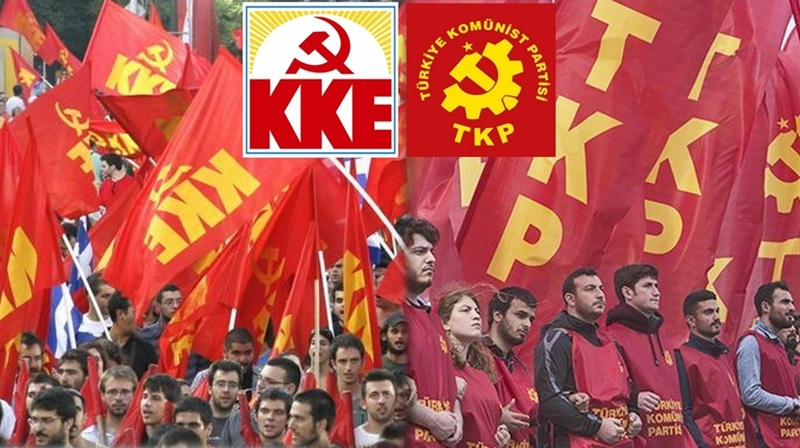 The Communist Party of Turkey (TKP) and the Communist Party of Greece (KKE), on the event of International Workers’ Day 2018, send warm militant greetings to the working class, the peoples of both countries and our region, and we call upon them to strengthen their common struggle against the bourgeois governments and the anti-people policies, capital and its power, to massively condemn imperialist wars and to develop the struggle for the overthrow of capitalist barbarism, for socialism, which is the future of the peoples. 2. The KKE and the TKP struggle for labour, popular interests, rely on proletarian internationalism, international solidarity, and with these principles face the complex developments in our region. The contradictions and competitions around the wealth-producing resources, energy pipelines, the conquest of markets and the control of strategically important areas, penetrate the imperialist system and are strongly manifested in our region forming the basis for the "hot spots", imperialist interventions and wars such as those in Syria, Libya, Iraq. 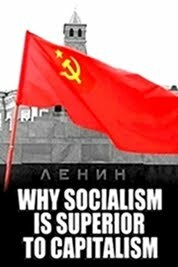 The USA, Russia, China, Germany, France, Britain and other EU Member States are leading the competition, involving a large number of capitalist states, including Turkey and Greece, in order to promote the interests of the bourgeoisie. Both cooperation and competition between the bourgeoisie of Turkey and Greece serve their own interests and have nothing to do with the interests of the peoples. 3. The KKE and the TKP condemn the anti-popular policy of the bourgeois governments of both countries, the repression, the persecutions against the Communist Party and the Communist Youth of Turkey, the anti-communism that is used in our countries as a "tool" for promoting anti-popular policies. 4. Our parties express their deep concern about the developments in the Aegean and the Eastern Mediterranean and oppose any increase in hostilities and warfare. We express our opposition to border violations in the Aegean and the controversy over the international treaties that have established the borders in the region. 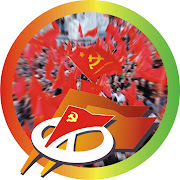 The KKE and the TKP support the position of not changing the borders and the treaties that define them and struggle for the disengagement of the two countries from imperialist plans, the return of military forces from NATO and other imperialist missions abroad, and demand NATO to withdraw from the Aegean Sea. The peoples of Turkey and Greece have nothing that divides them and have an interest in demanding to live peacefully and to fight for their own future, to abolish exploitation of man by man. 5. Experience has shown that the two countries' participation in NATO and the expansion of this imperialist military center in the region is directed against the peoples and Peace and both CPs will continue their struggle for the disengagement of our countries from NATO. 6. The EU is a transnational association of capital and is constantly becoming more dangerous to the popular interests. Our parties are opposed to the integration of new countries in the EU, such as Turkey, and we support the right of each people to struggle for disengagement from this imperialist union, a goal for which the KKE has struggled consistently over time. 7. The KKE and the TKP condemn once again the imperialist wars in Afghanistan, Iraq, Libya and the 7-year bloody imperialist war conducted by the USA, NATO and the powerful EU states against the Syrian people, in competition with Russia and Iran, which has cost hundreds of thousands of dead and millions of refugees. We condemn the imperialist attack (April 14th) of the USA, France and Britain, together with the support of NATO and the EU, against Syria with the pretext of the use of chemicals by the Syrian army. We express our international solidarity with the Syrian people. 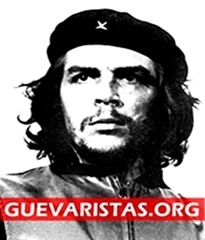 We continue the antiwar, anti-imperialist struggle and greet the popular mobilizations against the imperialist attack. Our parties have denounced the imperialist pretexts about the confrontation of terrorism and have revealed that the criminal organization “Islamic State” and other similar organizations were created, funded and trained by the USA and their allies to promote imperialist projects in the region. Our parties denounce the presence of Turkish military forces in Northern Syria and demand the immediate withdrawal of all foreign troops from Syria, supporting that developments in this country - as in every country - are a matter of its own people. The Kurdish issue cannot be resolved for the benefit of the peoples of the region with the assistance of the USA, NATO and the EU on the basis of their own aspirations. The rights of the Kurdish population and the settlement of the Kurdish issue for the benefit of the peoples of the region are linked to the common struggle of the peoples of the region, the development of consistent anti-imperialist action, the struggle for workers’ power. The TKP and the KKE are against the incitement of minority, real and non-existent issues, the rise in irredentism used to change the borders, and we call upon the communists of the region to take the lead against imperialist plans, nationalism and any “Great Idea” plans. 8. The KKE and the TKP express their solidarity with the Cypriot people, Turkish Cypriots and Greek Cypriots, and support a just and viable solution to the Cyprus Issue, with the withdrawal of the occupiers and all foreign troops, for an independent Cyprus with one sovereignty, one citizenship and an international personality, without foreign bases and troops, a common homeland for Turkish Cypriots, Greek Cypriots, Latins, Armenians and Maronites, without foreign guarantors and patrons. 9. Our parties express their solidarity with the people of Palestine which is struggling against Israeli occupation. They condemn the provocative position of the USA that recognizes Jerusalem as the capital of Israel and the unacceptable attitude of the EU that identifies the "perpetrator" with the "victim". Our parties support the recognition of an independent, sovereign Palestinian state with East Jerusalem as its capital, on the borders of 1967. 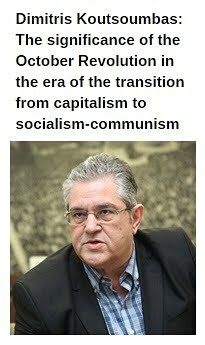 10.The TKP and the KKE cooperate in the theoretical journal "International Communist Review", the "European Communist Initiative", the International and Regional Communist and Workers’ Parties meetings and, together with other Communist parties, will continue the effort to strengthen the unity and the struggle of the communist movement for its revolutionary regroupment. 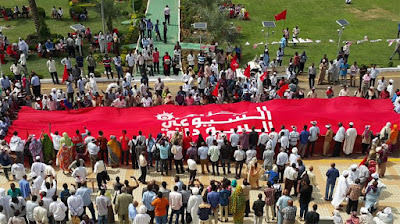 Our parties address the peoples of the two countries, the peoples of the region, and we call upon them to strengthen the struggle against the exploitative system which generates crises, unemployment, poverty, refugees, educational-cultural degradation, interventions and imperialist wars. 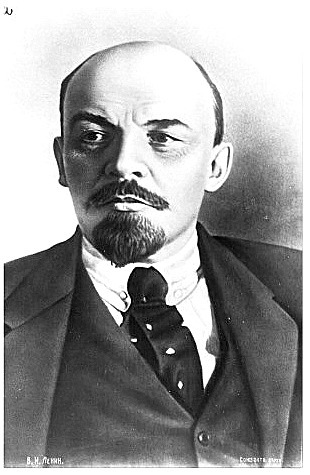 To strengthen the efforts for the class unity of the working class, the social alliance with the oppressed by the monopoly popular strata, to develop the class struggle, the struggle for the workers' power, for socialism, which in our day is more timely and necessary than ever. 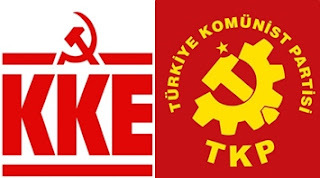 Communist Party of Turkey (TKP) & Communist Party of Greece (KKE). «1. Το Κομμουνιστικό Κόμμα Τουρκίας (ΚΚΤ) και το Κομμουνιστικό Κόμμα Ελλάδας (ΚΚΕ), μπροστά στην Εργατική Πρωτομαγιά 2018, απευθύνουν θερμό αγωνιστικό χαιρετισμό στην εργατική τάξη, στους λαούς των δύο χωρών και της περιοχής μας και τους καλούμε να δυναμώσουμε την κοινή πάλη ενάντια στις αστικές κυβερνήσεις και την αντιλαϊκή πολιτική, το κεφάλαιο και την εξουσία του, να καταδικάσουμε μαζικά τους ιμπεριαλιστικούς πολέμους και να αναπτύξουμε την πάλη για την ανατροπή της καπιταλιστικής βαρβαρότητας, για το σοσιαλισμό που είναι το μέλλον των λαών. 2. Το ΚΚΕ και το ΚΚΤ παλεύουν για τα εργατικά, λαϊκά συμφέροντα, στηρίζονται στον προλεταριακό διεθνισμό, στη διεθνιστική αλληλεγγύη και με αυτές τις αρχές αντιμετωπίζουν τις σύνθετες εξελίξεις στην περιοχή μας. Οι αντιθέσεις και ανταγωνισμοί για τις πλουτοπαραγωγικές πηγές, τους ενεργειακούς αγωγούς, την κατάκτηση αγορών και τον έλεγχο στρατηγικής σημασίας περιοχών, διαπερνούν το ιμπεριαλιστικό σύστημα, εκδηλώνονται έντονα στην περιοχή μας και είναι η βάση των "θερμών εστιών", των ιμπεριαλιστικών επεμβάσεων και πολέμων, όπως αυτών που ζούμε στη Συρία, στη Λιβύη, στο Ιράκ. Στην κούρσα των ανταγωνισμών πρωταγωνιστούν οι ΗΠΑ, η Ρωσία, η Κίνα, η Γερμανία, η Γαλλία, η Βρετανία και άλλα κράτη-μέλη της ΕΕ, συμμετέχει μεγάλος αριθμός καπιταλιστικών κρατών και μεταξύ αυτών η Τουρκία και η Ελλάδα, με στόχο την προώθηση των συμφερόντων των αστικών τάξεων. 3. Το ΚΚΕ και το ΚΚΤ καταδικάζουν την αντιλαϊκή πολιτική των αστικών κυβερνήσεων των δύο χωρών, την καταστολή, τις διώξεις κατά του Κομμουνιστικού Κόμματος και της Κομμουνιστικής Νεολαίας Τουρκίας, τον αντικομμουνισμό, που χρησιμοποιείται και στις δύο χώρες μας ως "εργαλείο" προώθησης της αντιλαϊκής πολιτικής. 4. Τα Κόμματά μας εκφράζουν την έντονη ανησυχία τους για τις εξελίξεις στο Αιγαίο και την Ανατολική Μεσόγειο και εναντιώνονται σε κάθε περίπτωση θερμού επεισοδίου και πολεμικής εμπλοκής. Εκφράζουν την αντίθεσή τους με τις παραβιάσεις των συνόρων στο Αιγαίο και την αμφισβήτηση των διεθνών Συνθηκών που έχουν καθορίσει τα σύνορα στην περιοχή. 5. Η πείρα έχει αποδείξει ότι η συμμετοχή των δύο χωρών στο ΝΑΤΟ και η επέκταση αυτού του ιμπεριαλιστικού στρατιωτικού κέντρου στην περιοχή, στρέφεται κατά λαών και της Ειρήνης και τα δύο ΚΚ θα συνεχίσουν την πάλη τους για την αποδέσμευση των χωρών μας από το ΝΑΤΟ. 6. Η ΕΕ είναι διακρατική ένωση του κεφαλαίου και γίνεται συνεχώς πιο επικίνδυνη για τα λαϊκά συμφέροντα. Τα Κόμματά μας τάσσονται κατά της ένταξης νέων χωρών, όπως της Τουρκίας, στην ΕΕ και υποστηρίζουν το δικαίωμα του κάθε λαού να αγωνίζεται για την αποδέσμευση από αυτήν την ιμπεριαλιστική ένωση, στόχο για τον οποίο παλεύει διαχρονικά, με συνέπεια το ΚΚΕ. 7. Το ΚΚΕ και το ΚΚΤ καταδικάζουν για άλλη μια φορά τους ιμπεριαλιστικούς πολέμους στο Αφγανιστάν, το Ιράκ, τη Λιβύη και τον 7χρονο αιματηρό ιμπεριαλιστικό πόλεμο που διεξάγουν οι ΗΠΑ, το ΝΑΤΟ και ισχυρά κράτη της ΕΕ κατά του λαού της Συρίας, σε ανταγωνισμό με τη Ρωσία και το Ιράν, ο οποίος έχει στοιχίσει εκατοντάδες χιλιάδες νεκρούς και εκατομμύρια πρόσφυγες. Καταδικάζουμε την ιμπεριαλιστική επίθεση (14 Απρίλη) των ΗΠΑ, της Γαλλίας και της Βρετανίας, με τη στήριξη του ΝΑΤΟ και της ΕΕ, κατά της Συρίας με πρόσχημα τη χρήση χημικών από το Συριακό στρατό. Εκφράζουμε τη διεθνιστική μας αλληλεγγύη στο Συριακό λαό. Συνεχίζουμε την αντιπολεμική, αντιιμπεριαλιστική πάλη και χαιρετίζουμε τις λαϊκές κινητοποιήσεις κατά της ιμπεριαλιστικής επίθεσης. Τα Κόμματά μας έχουν καταγγείλει τα ιμπεριαλιστικά προσχήματα περί αντιμετώπισης της τρομοκρατίας και έχουν αποκαλύψει ότι η εγκληματική οργάνωση "Ισλαμικό κράτος" και οι άλλες παρόμοιες οργανώσεις δημιουργήθηκαν, χρηματοδοτήθηκαν και εκπαιδεύτηκαν από τις ΗΠΑ και σύμμαχους τους για την προώθηση των ιμπεριαλιστικών σχεδίων στην περιοχή. Τα Κόμματά μας καταγγέλλουν την παρουσία των τουρκικών στρατιωτικών δυνάμεων στη Βόρεια Συρία και απαιτούν την άμεση αποχώρηση όλων των ξένων στρατευμάτων από τη Συρία, υποστηρίζοντας ότι οι εξελίξεις στη χώρα αυτή -όπως και σε κάθε χώρα- είναι υπόθεση του λαού της. Καταδικάζουν την προκλητική θέση των ΗΠΑ που αναγνωρίζουν την Ιερουσαλήμ ως πρωτεύουσα του Ισραήλ και την απαράδεκτη στάση της ΕΕ που ταυτίζει το "θύτη" με το "θύμα". Τα Κόμματά μας υποστηρίζουν την αναγνώριση ανεξάρτητου, κυρίαρχου παλαιστινιακού κράτους, με πρωτεύουσα την Ανατολική Ιερουσαλήμ, στα σύνορα του 1967. 10. Το ΚΚΤ και το ΚΚΕ συνεργάζονται στο θεωρητικό περιοδικό "Διεθνής Κομμουνιστική Επιθεώρηση", στην "Ευρωπαϊκή Κομμουνιστική Πρωτοβουλία", στις Διεθνείς και Περιφερειακές συναντήσεις Κομμουνιστικών και Εργατικών Κομμάτων και από κοινού με άλλα Κομμουνιστικά Κόμματα θα συνεχίσουν την προσπάθεια για την ενίσχυση της ενότητας και της πάλης του κομμουνιστικού κινήματος για την επαναστατική ανασυγκρότησή του. Τα Κόμματά μας απευθύνονται στους λαούς των δύο χωρών, στους λαούς της περιοχής και τους καλούμε να δυναμώσουμε τον αγώνα κατά του εκμεταλλευτικού συστήματος, που γεννάει κρίσεις, ανεργία, φτώχεια, προσφυγιά, μορφωτική - πολιτιστική υποβάθμιση, επεμβάσεις και ιμπεριαλιστικούς πολέμους. Να ενισχύσουμε τις προσπάθειες για την ταξική ενότητα της εργατικής τάξης, την Κοινωνική Συμμαχία με τα καταπιεζόμενα από τα μονοπώλια λαϊκά στρώματα, να αναπτυχθεί η ταξική πάλη, η πάλη για την εργατική εξουσία, για το σοσιαλισμό, που στις μέρες μας είναι πιο επίκαιρος κι αναγκαίος. ΚΚ Τουρκίας - ΚΚ Ελλάδας». Türkiye Komünist Partisi (TKP) ve Yunanistan Komünist Partisi (KKE) olarak 2018 Dünya İşçi Bayramı’nda her iki ülke işçilerini ve bölge halklarını en militan duygularla selamlıyoruz. İşçi sınıfımızı ve bölge halklarını, burjuva hükümetlere, onların halk düşmanı politikalarına ve sermaye iktidarına karşı ortak mücadeleye omuz vermeye çağırıyoruz. İşçi sınıfını, emperyalist savaşları mahkûm etmeye ve kapitalist barbarlık düzenini yıkarak, halkların geleceğini, yani sosyalizmi kuracak mücadeleyi yükseltmeye davet ediyoruz. TKP ve KKE emekçi halkın çıkarları için mücadele etmektedir. Partilerimiz, işçi sınıfı enternasyonalizmine ve uluslararası dayanışmaya yaslanmakta, bölgemizdeki karmaşık gelişmelere bu ilkeler doğrultusunda yaklaşmaktadır. Zenginlik kaynakları, enerji hatları, piyasaları ele geçirmeye yönelik rekabet ve stratejik önem taşıyan bölgelerin kontrolü etrafında dönen çekişmeler ve çelişkiler emperyalist sistemin tümüne yayılmaktadır. Bu çelişkiler bölgemizde “sıcak noktalar,” emperyalist müdahaleler ve Suriye, Libya ve Irak’ta gördüğümüz türden savaşlar biçiminde tezahür etmektedir. Türkiye ve Yunanistan kapitalist sınıflarının işbirlikleri de çekişmeleri de kendi çıkarlarına hizmet etmektedir ve kendilerini ilgilendirir. Bunların Türkiye ve Yunanistan halklarının çıkarlarıyla hiçbir ilgisi yoktur. TKP ve KKE olarak, her iki ülkedeki burjuva hükümetlerin halk düşmanı politikalarını, baskıcı uygulamalarını, TKP ve Türkiye Komünist Gençliği’ne yönelik şiddeti ve ülkelerimizde halk düşmanı politikaların bir “aracı” haline gelmiş anti-komünizmi mahkûm ediyoruz. Partilerimiz Ege ve Doğu Akdeniz havzasındaki gelişmelere dair derin endişe duymaktadır. Düşmanlığa ve savaşa dair her türlü yükselişe, Ege’deki sınır ihlallerine ve bölgedeki sınırları belirleyen uluslararası antlaşmalara dair tartışmalara karşı çıkıyoruz. TKP ve KKE sınırları ve onları tanımlayan antlaşmaları olduğu gibi korumayı savunmaktadır. Partilerimiz, her iki ülkenin de emperyalist planlarla bağını koparması, askerlerini NATO ve diğer emperyalist denizaşırı görevlerden çekmesi, ayrıca NATO’nin Ege Denizi’nden çekilmesi için mücadele ediyor. Türkiye ve Yunanistan halklarını bölecek hiçbir gerekçe yoktur. Halklarımız çıkarı barış içinde yaşamakta, ortak geleceğimiz için mücadele etmekte, insanın insanı sömürdüğü bu düzeni yıkmakta yatıyor. Deneyimle sabittir ki, ülkelerimizin NATO üyeliği ve bu emperyalist askeri örgütün bölgemizdeki genişlemesi halklara ve barışa yönelmiş bir tehdittir. Her iki komünist parti de ülkelerimizin NATO’dan çıkması için mücadele edecektir. AB, uluslararası bir sermaye örgütüdür ve halkların çıkarlarına giderek daha büyük bir tehdit oluşturmaktadır. Partilerimiz Türkiye gibi yeni üye ülkelerin AB’ye dâhil edilmesine karşı çıkmaktadır. Partilerimiz, her iki halkın da bu emperyalist birlikten çıkmaya yönelik mücadele hakkını destekler. KKE bu amaç için uzun süredir mücadele etmektedir. TKP ve KKE olarak, Afganistan, Irak ve Libya’daki işgalci savaşları bir kez daha mahkûm ediyor, ABD, NATO ve güçlü AB ülkelerinin Rusya ve İran’la rekabet içinde Suriye halkına karşı 7 yıldır yürüttüğü, ardında yüzbinlerce ölü ve milyonlarca mülteci bırakan emperyalist savaşı şiddetle kınıyoruz. Ayrıca, 14 Nisan 2018’de, ABD, Fransa ve İngiltere’nin NATO ve AB desteğiyle Suriye’ye karşı “kimyasal saldırı” yalanını bahane ederek gerçekleştirdiği emperyalist saldırıyı mahkûm ediyoruz. Suriye halkının yanındayız. Bu emperyalist saldırıya karşı sokağa çıkan kitleleri selamlıyor, savaş karşıtı anti-emperyalist mücadelemizi sürdüreceğimizi bildiriyoruz. Partilerimiz, Türk ordusunun Suriye’nin kuzeyindeki varlığını kabul edilemez bulmakta ve tüm yabancı askeri birliklerin Suriye toprağından derhal çıkmasını talep etmektedir. Suriye’deki gelişmeler, tüm ülkelerde olduğu gibi, Suriye halkının meselesidir. Kürt meselesi, ABD, NATO ve AB’nin kendi amaçları doğrultusunda verdikleri destekler geri çevrilmedikçe bölge halklarının yararına olarak çözülemez. Kürt halkının hakları ve Kürt meselesinin bölge halklarının tümü yararına çözümü, bu halkların ortak mücadelesinden, tutarlı bir anti-emperyalist hattın kurulmasından ve işçi sınıfı iktidarından geçer. TKP ve KKE olarak, azınlıkların tahrik ve tahkir edilmesine, yayılmacılığa ve sınırların değiştirilmesine karşı çıkıyoruz. Partilerimiz, bölge komünistlerini, emperyalist planlara, milliyetçiliğe ve her türden yıkıcı “Büyük Ülkü”ye karşı mücadeleye öncülük etmeye davet ediyor. TKP ve KKE olarak Kıbrıs halkıyla, yani Türk ve Rum Kıbrıslılarla, dayanışmamızı ifade ediyoruz. Kıbrıs meselesinin adil ve gerçekçi bir çözüme kavuşturulmasını destekliyoruz. İşgalcilerin ve her türden yabancı askeri birliğin adadan çekilmesini talep ediyor, bağımsız ve egemen bir Kıbrıs’ı savunuyor, vatandaşlık ve uluslararası tüzel kişilik açısından birleşik ve tek bir Kıbrıs’ı destekliyoruz. Kıbrıs, yabancı üslerden ve askeri birliklerden arındırılmalı, yabancı garantör ve hamiler olmadan Türk, Rum, Latin, Ermeni ve Marunî Kıbrıslıların ortak yurduna dönüştürülmelidir. İsrail işgaline karşı mücadele eden Filistin halkına dayanışmamızı ifade ediyoruz. ABD’nin Kudüs’ü İsrail’in başkenti olarak tanıyan provokatif hamlesini mahkum ediyor ve AB’nin “suçlu”yu “mağdur”la karıştıran tutumunu kabul edilemez buluyoruz. Partilerimiz, 1967 sınırlarına uygun olarak, başkenti Doğu Kudüs olan bağımsız ve egemen Filistin Devleti’nin tanınmasını desteklemektedir. 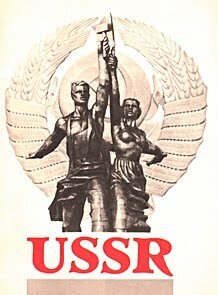 TKP ve KKE olarak, teorik “International Communist Review” dergisinin çıkartılmasında, Avrupa Komünist İnisiyatifi örgütünde, Uluslararası ve Bölgesel Komünist ve İşçi Partileri toplantılarının düzenlenmesinde işbirliği içindedir. Ayrıca partilerimiz, diğer komünist partilerle birlikte, komünist hareketin birliği pekiştirmek ve devrimci doğrultuda yeniden bir araya gelişini sağlamak için çabalamaya devam edecektir.